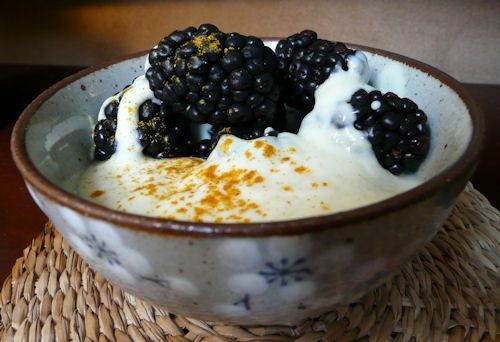 Cool yogurt, sweet/tart fruit and the warmth of spices makes an unforgettable breakfast, side dish, lunch or dessert. Mix yogurt, spice, and honey together and spoon into four bowls. Top the yogurt mixture with 1/2 cup of fruit in each bowl. Garnish with a final sprinkle of the spice on top.